The modern, sea-lined and culturally rich South African city of Durban is a gem of a holiday destination for local and international tourists alike. Situated on the country’s east coast in the lush, mostly tropical-like province of KwaZulu-Natal, it is home to the magnificent, multi-use Moses Mabhida Stadium. Of course, the lure of this world-class stadium ­– MMS for short – is far from the only big attraction in Durban, starting with the gateway to this city, or ‘little India’ as it is also known: King Shaka International Airport. King Shaka International Airport (KSIA) is the main airport serving Durban. It is modern, luxurious, passenger friendly and amenity rich – not surprising, given that the airport only opened in 2010. Since then, some travelers have gone on to recognise it as one of the best airports in the world, and indeed the airport has garnered some impressive awards to back this up. Since opening its runways for landing, King Shaka International Airport went on to win the top regional airport award in the Skytrax World Airport Awards for four consecutive years. Five million passengers also rated it the top airport in the world in 2013 in an Airports Company International survey, and overall, KSIA has the proud distinction of being ranked number 32 in the SkyTrax top 100 airports. But KSIA management is by no means sitting on its laurels – plans are always underfoot to improve and expand. In line with both local and national increased tourist expectations for the next few decades, the airport’s stated capacity by 2016 will be 45 million. This is almost seven times more than the opening airport capacity of just more than seven million passenger arrivals. World-class local and designer shopping; local tour reservations; up-to-the-minute traffic; flight and weather info; secure parking and an array of eateries – these are just some of the convenient amenities at KSIA. Exchange your forex, buy your outdoor travel and adventure gear or hook yourself up with the latest electronics, do your nails, treat yourself to some dazzling diamonds or even have your eyes tested – all this and more is available under one inviting roof when you touch down. Stuck between flights? Five premier lounges are at your service, with some of them not requiring any card affiliation at all. Relax, unwind, fuel up on some snacks and catch up on your emails in privacy – there’s no reason not to feel refreshed by the time you board your flight. The popularity of King Shaka International Airport and Durban as a city itself, is no doubt due in no small part to its alluring, interesting surrounds. Two mandatory areas worth the exploration are Hillcrest, in the outer west of Durban and the famed ocean-side tourist attraction of Ballito, famed for its pristine beaches. 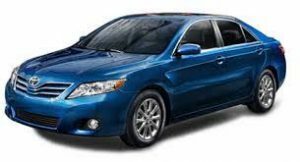 Both areas are well served in terms of getting to and from the airport – the airport itself has a number of car rental agencies. Top in convenience is the airport shuttle from Hillcrest to King Shaka International Airport, and from King Shaka to Hillcrest. 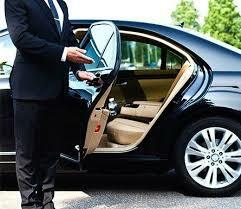 When it comes to reaching Ballito, the Ballito Taxi Service is recommended. airport shuttle from Hillcrest to King Shaka and Ballito Taxi Service are among a number of tailored, easy-to-use transport services getting you to and around Durban at regular intervals. As Hillcrest and Ballito are two important tourist destinations, much thought and planning has gone into ferrying passengers in comfort – and on time – to and from these locales and King Shaka International Airport. Although both the airport shuttle from Hillcrest to King Shaka and Ballito Taxi Service run at all hours, it is best to confirm availability before the time. Contact the airport’s information desk at +27 (0) 32 436 6585 or find them conveniently situated at the arrivals area, open from 8am to 9pm every day except Sunday, when the kiosk opens at 9am. Here, you’ll also be able to utilise fax and internet facilities, and get up-to-the-minute information about tours and events in and around the city. Ballito has it all – from family-friendly adventure, to food, sea, surf, nature, historical, luxury and even extreme sports adventure. Whales, wine routes, local craft breweries and more – once you’ve been to Ballito, you’ll be back! Ballito also offers some of the best scuba diving and marine undersea exploration on offer from the Bahamas to Australia. Nothing is ever ordinary – while the local zoo has plenty to fawn over, it’s Crocodile Creek that’s sure to delight everyone. Just be sure to have your destination ready for your Ballito Taxi Service, as this will make planning the most cost- and time-effective route a breeze for your driver. Hillcrest is awash with natural splendor – from the Springside Nature Reserve to the Iphithi Nature Reserve, Giba Gorge Horse Trails, Giba Gorge Mountain Bike Park, KrantzKloof Nature Reserve, and more. The Shongweni Farmers’ Market is by far the best sampling of organic offerings, local arts and crafts and home-made goodness as far as food goes. If the kids need to expend some energy, the People’s Park café is a must. Entrance is free and while you munch on something to eat, or take something picnic-style, sit back and watch as the kids skate, rollerblade or ride on their bikes. Don’t forget to hitch a ride on the SkyCar while you’re there – seeing Durban from above doesn’t disappoint! The list of things to do in Hillcrest is truly varied and well worth the investment in your time – and the more off the beaten track, the better. If you’re using the recommended shuttle from Hillcrest to King Shaka and vice versa, try and plan your itinerary before the time so your driver knows how best to plan your route.